Artemis Health Institute (AHI), at Gurgaon is a NABH Accredited, 300-bed tertiary care super-specialty flagship hospital established by Artemis Health Sciences (AHS) – a healthcare venture launched by the promoters of the Apollo Tyres Group. Artemis aims at creating an integrated world-class healthcare system by leveraging the best medical practices backed by cutting-edge technology. The super-specialties chosen by Artemis as its area of focus include Cardiovascular (Heart), Oncology (Cancer), Orthopedics & Joint Replacements, Neurosciences and Bariatric & Minimally Invasive Surgery in addition to host of other specialties. Valvular Heart Disease – Heart valves can be abnormally formed at birth or damaged by rheumatic fever or bacterial infection. Valves also can degenerate with the normal aging process. Congenital Heart Disease – Some people are born with problems that may affect the heart and major blood vessels. Corrective surgery may occur in childhood or postponed until adulthood. Thoracic Aortic Aneurysms – An aneurysm is a saclike bulging that can develop on the wall of a blood vessel. This bulging can become life threatening if not treated. The treatment options include stenting and open surgery. In order to diagnose and determine the treatment for a particular heart disease, the doctor obtains a complete medical history, performs a thorough physical exam and orders special diagnostic tests. 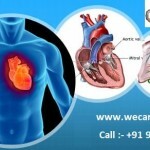 Major types of cardiac surgeries include coronary artery bypass graft surgery (CABG), heart valve surgery, minimally invasive surgical procedures, transmyocardial laser revascularization (TMR), congenital repairs and thoracic aortic aneurysm repair. When the patient’s chest is opened and surgery is performed on the heart. The term “open” refers to the chest, not to the heart itself. The heart may or may not be opened depending on the particular type of surgery. In open heart surgery a heart-lung machine is sometimes used to support the patient’s circulation while the surgeon opens the chest and makes changes to the heart or the arteries on the surface of the heart. There are a variety of types of open-heart surgeries depending on the condition being treated and the overall health of the patient. The main types of arterial diseases are occlusive and aneurysmal disease (ballooning of the arteries). Occlusive disease is narrowing of the arteries like in the heart which can happen anywhere in the body but people are aware of the symptoms if it happens in the legs or in the tummy (can lead to ulcers or gangrene) or in the neck arteries (which can lead to a stroke). Peripheral vascular disease affects smokers and also patients who have undergone coronary stenting or bypass surgery. A large proportion of people with decade-long diabetes develop vascular problems. In a country where more than four crore people are estimated to have diabetes, the number of people estimated to have vascular problems is large. A diabetic patient is at a greater risk of lower limb amputation than the general population, a lot of them can be prevented with the involvement of a vascular surgeon. We will be offering basic and advanced screening for vascular diseases at the Artemis Health Institute. The prevalence of venous disease has been under estimated. A clot in the deep veins if it travels to the lungs can cause sudden death. Individuals are predisposed to forming clots if blood lacks few proteins which can keep the it fluid. It can also be caused if the patient is immobilized or if the lining of the vessels are damaged. Unilateral painful calf swelling must be taken seriously. Varicose veins (dilated and tortuous veins) are also a common problem, if untreated can lead to skin changes, itching and ulcers. Treatment for lymphatic disease (swelling of the legs) is mainly conservative. The ENT Department at Artemis offers a comprehensive list of diagnostic and therapeutic options, all under one roof. A detailed evaluation is first undertaken by a team comprising of ENT Surgeons and Audiologists. Based on the diagnosis and extent of hearing loss, all options from simple prescription of medicines to hearing restoration devices to complex surgery such as cochlear implants are discussed where relevant. Where possible, patient is given a free trial of hearing aids or Baha implants to ensure patient satisfaction. Patient makes the final choice based on individual profile and needs. Post treatment rehabilitation is undertaken to achieve maximum benefit. DEPARTMENT OF GENERAL SURGERY AND TRAUMA General Surgery is a wide field of surgery and the General Surgeon maintains a Holistic view of the surgical ailments. He is better equipped to visualize the patient as a whole rather than have a tubular vision. A general Surgeon is professionally in a much better position than other surgeons, in situations where the patient has more than one system involvement with overlap between specialties. General Surgery is a concept which has ably withstood the onslaught of compartmentalization since it provides the necessary bridge between different sub-specialties of surgery. 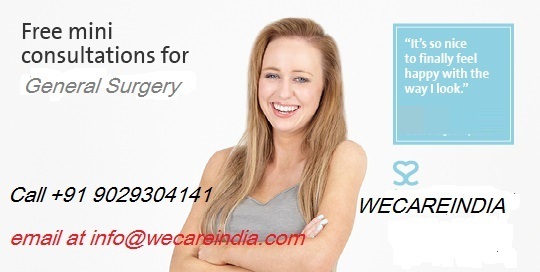 General surgery includes conventional open surgery as well as Laparoscopic surgery. These two approaches are used, complementary to each other, in the best interests of the patient. Trauma is a very important field tackled by General Surgeons. This requires ‘prompt actions with broad outlook’. The general surgeon provides most of the management and wherever required, he takes the help of other specialists. Besides resuscitation & observation of the injured patient, he provides the definitive management in such patients. Artemis Health Institute (AHI) a super speciality hospital with over 260 beds is one of the best tertiary care hospitals In India, located in the Indian millennium city, Gurgaon. Structurally and functionally, AHI has been designed to deliver the best possible personalized medical care of international quality to its patients, from all corners of India and world. With its world class equipment and staff AHI offers ‘state of art’ medical care of all disciplines. Due to the inherent strengths, systems and internationally benchmarked healthcare facilities, AHI has earned the distinction of being accredited by NABH (National accreditation Board for Healthcare organizations and Hospital) an integral part of Quality council of India. in a short span of three years of its existence. This accreditation has been earned by a few hospitals in India. Remarks of chief assessor, “…….,it is definitely one of the best assessments. It was difficult task to find faults / non- compliances” reflects the standard reached by the hospital. Artemis Cancer Institute (ACI) is an integral part of AHI staffed by well trained and experienced team of oncologists and paramedics, and armed with world class equipment and facilities. Artemis Cancer Institute offers multidisciplinary comprehensive cancer care with a personalized touch to the patients from all corners of India, neighboring countries and all parts the world. For international patients, Artemis Cancer Institute provides assistance in local stay, pick up and drop facility at airports/ railway stations, booking of rooms and accommodation for attendants, cell phones with international calling cards, internet services, and arrangements for post discharge stay, post discharge telephonic consult. Artemis cancer institute aspires to be not just excellent, but to actually define the quality of cancer care. Medical oncology for all adult patients. Paediatric oncology (children with all types of cancers. Radiation oncology for all types of tumors. NURSING ONCOLOGY I. We have well experienced and trained nurses for administration of chemotherapy, for maintenance of central and venous access e.g picc and Ports. A weekly multidisciplinary clinic (tumor board) discusses complicated cases, considers treatment options and aims to reach a consensus regarding individualizing a patients treatment.The idea of a tumor board is to provide a comprehensive professional opinion from many experts at a time rather than a patient having to see multiple specialists. II. Ongoing Research trials- ACI is affiliated to international and national research bodies to carry out clinical research trials. Future I. Setting benchmarks in cancer care providing modern comprehensive treatment options in personalized manner using latest technology, collating & analyzing data and clinical research trials. NEUROSCIENCES ARTEMIS NEUROSCIENCES INSTITUTE Artemis Health Institute is a multispecialty hospital and considered to be as one of the best tertiary care hospital in India. It is located in Delhi national capital territory area in the Indian millennium city Gurgaon. The hospital is well known for the best possible equipment of international standards with best possible patient care. Although it serves a large section of population of India but a large number of international patients also come here for treatment. Due to its high standard of healthcare facility, it has been awarded the distinction of accreditation of NABH (National accreditation Board for Healthcare organizations and Hospitals) which is a rare distinction and a very few hospitals in India have earned it. Since its inception in 2007, Institute of Neurosciences has been a leader in the diagnosis, treatment and rehabilitation of patients with neurological disorders or illnesses. The Institute’s professional staff members are experts in a variety of fields related to diseases of the nervous system. The Institute combines physicians and other healthcare providers in neurology, neurosurgery, neuroradiology and behavioral sciences who treat adult and pediatric patients with a variety of neurological disorders. The Department of Clinical Neurosciences was established in 2007. By virtue of dedicated Neurosurgeons, Neurologists, paramedics and world class equipment and facilities. 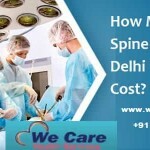 It is one of the busiest tertiary care department amongst the private set ups in India. It offers multidisciplinary comprehensive care with human touch. Artemis Neurosciences Institute is surrounded by pleasant ambience and is well connected with railway stations. Artemis Neuroscience Institute (ANI) is dedicated with its most advanced medical technology compatible with international standard. 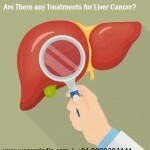 The department has a team of highly trained doctors with international background working for a better treatment result. The emergency services render a twenty four hour of service to the community. The Neurosurgeons at Artemis healthcare use their vast experience in Neurosurgery/ Neurology to help diagnose and treat disorders of the nervous system affecting the whole body, the spine, brain, hands, legs, arms and face. The Neurosurgery department offers some of the most advanced surgical treatments along with a variety of non-surgical approaches to restore his patient’s health and relieve their pain. Neurosurgeons at ANI perform minimally invasive surgeries of the spine and skull base. Comprehensive patient management- All modalities of treatment are available under one roof. BRAIN Brain tumors, both benign and malignant . Awake craniotomy if the tumor is located in an eloquent area of the brain. Traumatic head injuries: subdural, epidural, intracerebral hematomas, brain contusion, depressed fracture. CERVICAL SPINE Anterior Cervical Discectomy and Fusion with instrumentation. The cervical disc and/or spur are removed during this operation. After removal of the disc it is fused with instrumentation. Insertion of artificial discs for cervical disc herniation and/or degeneration. Treatment of Posterior Decompression of the cervical vertebrae. Posterior Fusion of the cervical vertebrae. THORACIC SPINE Discectomy – A portion of the disc is removed from the spine to release the pressure on the nerve. Kyphoplasty/Vertebroplasty for fracture – This is a minimally invasive treatment in which orthopaedic balloons are used to gently elevate the fractured vertebrae in an attempt to return it to the correct position. LUMBAR SPINE Microdiscectomy (minimally invasive spine procedure) – This is an operation on the lumbar spine that is performed using a very small incision and removes only the portion of the ruptured disc that is pinching the spinal nerve causing pain.The surgery is performed under operating microscope. Decompressive Laminectomy with or without fusion and/or instrumentation – This surgery is done to treat spinal stenosis and relieve pressure on the spinal cord or spinal nerves. Laminectomy removes bone and/or thickened tissue that is narrowing the spinal canal and squeezing the spinal cord and nerves. Sometime along with it foraminotomy is performed to relieve the pressure on exiting nerve root. This procedure is done by surgically cutting into the back. Posterior and Anterior Lumbar Interbody Fusion – In this procedure, the surgeon joins (fuses) two lumbar vertebrae. This helps stabilize the vertebrae in this part of the spine. PAIN Spinal Cord Stimulator – This a treatment used for chronic pain. A small stimulator sends signals to your spinal cord to keep the pain messages from being sent to your brain. PERIPHERAL NERVE Carpal Tunnel Release – Carpal tunnel release is surgery to treat carpal tunnel syndrome, which is pain and weakness in the hand caused by pressure on the median nerve at the wrist. Ulnar Nerve Transposition – Ulnar Nerve Transpositon moves the affected nerve to relieve pain and pressure. A new tunnel is created for the nerve during this procedure. Peripheral nerve trauma surgery. With the help of nerve stimulator the pathological area is found out and treated accordingly sometimes with nerve grafting. The finest suture material which is even thinner than a hair is used. Perpheral nerve sheath tumor. Removal of tumor from a peripheral nerve is sometimes challenging. Goal is total removal of the tumor without altering the normal function of the nerve. Tumors can be benign or malignant. Malignant tumor is managed with the helped of Experienced Oncologists. Pediatric Disease Tumors – Common pediatric tumor like medulloblastoma, craniopharyngioma or Astrocytoma are always challenging. Surgical removal is followed by treatment by a multidisciplinary team. Tethered Cord – In this surgery under microscope the tethering of the spinal cord is removed allowing normal growth of the spinal cord restoring function of the limbs.